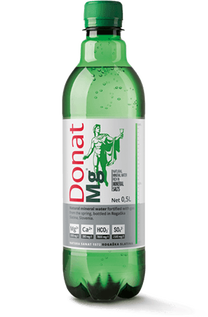 Donat Mg UK- source of magnesium is a unique 100% natural mineral water with the richer amount of magnesium than any other mineral water. 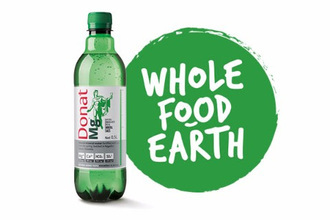 Hearty Living is the Official Sole Distributor of Donat Mg for UK and Northern Ireland. Naturally occurring ancient source of magnesium rich mineral water Donat Mg.
Organic and ethically sourced products! that alleviates the problems of modern life. mineral and a salve for the nerves and muscles." Magnesium helps reduce tiredness and fatigue, supports the balance of electrolytes, muscle function and nervous system, and promotes healthy bones and teeth. Your magnesium requirements can be met with only 300 ml of Donat Mg a day. ​and more Raw, Organic and ethically sourced products! "I started to drink Donat ﻿Mg﻿ two years ago when I was living in Slovenia. I would like to admit that drinking Donat Mg helped me with constipation and improved my general well-being. When I moved to UK, I started to look for the similar product available, but it was not that easy to find substitute due to unique content. I highly recommend Donat Mg mineral water for those who take care of their health." Great service and super fast delivery! I came across this water in Ljubliana airport - and I do feel good after drinking it - it has a balancing effect and helps when over stimulated with caffeine. I find it also really refreshing after a workout. thanks! I am very busy with my business and multiple projects and used to drink red bull and relentless but felt guilty due to sugar unhealthy ingredients...then my friend told me about this amazing water I started drinking this a bottle to 2 every day .. I am very happy and energetic everyday .. Thanks Donat mg! My father has been taking Donat Mg for years for healthy reasons and in order to come to London for a visit we had to find a supplier for UK for that amazing product. Luckily we found Hearty Living. I have known the health benefit from Donat Mg for years and would highly recommend it.